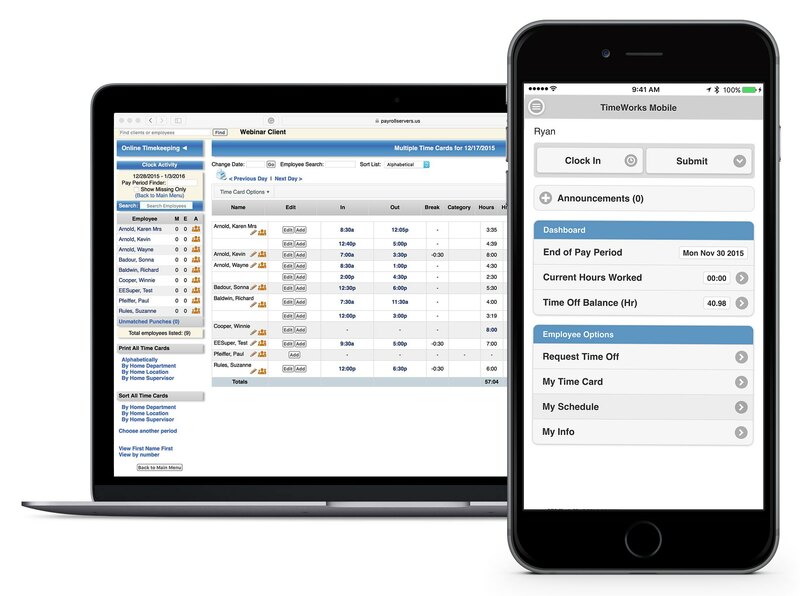 Manage your workforce with the user-friendly mobile app. 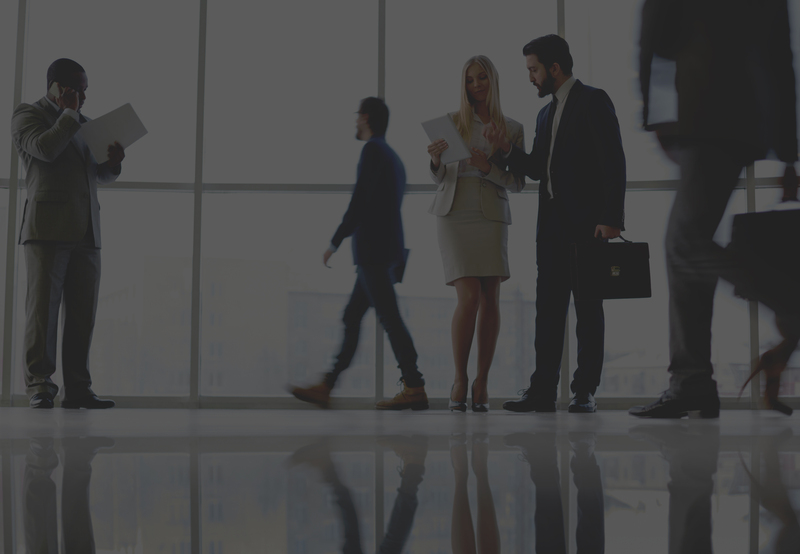 Prevent employee time theft through improved accountability. We offer a variety of options for collecting employee data, which all send your employee’s punches to the web for simple editing and reporting by your supervisors. Data can be sent both through a standard phone/fax line (analog) or via a digital (Ethernet) connection, depending on your preference and/or location’s accessibility. Once you have selected a data collection method (Web, badge card, PIN, fingerprint, etc. ), we’ll set up your account according to your labor needs, creating an automated means of tracking and calculating each of your employee’s time cards. As an automated timekeeping solution, TimeWorksPlus is a practical way to keep things simple while dramatically reducing the administrative work involved in collecting and calculating employee hours. Our easy to set up hardware allows employee time data to be collected electronically with ease for the editing of time cards and generating reports for payroll processing. With Clock-In Solutions on your side, this solution simplifies the basics of timekeeping by eliminating manual transmission of data and human error as everything is done automatically. Get the complete list of features with reports. Eliminated “wasted labor minutes” from employee time theft and approximations. Eliminated time spent by payroll clerks in collecting and calculating time card data. Minimized expenses associated with human error in processing timekeeping data. Increased productivity and accountability for time worked by employees. Join the ranks of businesses that use Clock-In Solution workforce management products. Call us at (877) 801-8400 or fill out the form below. Which time keeping solution are you interested in? Think TimeWorksPlus is right for your business?